F W Cook Funeral Services were founded back in 1962 by Frank Cook and was passed onto Andrew Cook (son) in 1993. Joined by wife Kay in 2001, the company is a qualified family owned and managed Funeral Directors in Willingham. We provide a caring and personal service 24 hrs a day, so if you have recently suffered bereavement, we can help during this difficult time by organising and providing support to you and your loved ones. Once you have contacted us we will make all necessary arrangements tailored to your requirements. Whatever your budget we will provided a caring and professional service. We are based in Willingham, Cambridgeshire and all the funeral arrangements are supervised by our professional, competent & qualified staff. We are proud of the reputation that we have built with our clients over the past 50 years. Here at F W Cook Funeral Service our business is personal and we aim to provide comfort, support and guidance. 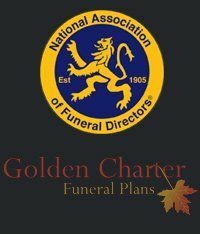 We have a range of options available including Pre-paid Funeral Plans (Golden Charter). We travel within a 10-15 mile radius but travel as requested- repatriation of a deceased previous address. Having 50 years of experience we offer a personal touch, nothing is too much trouble and we treat the families that we care for with dignity and respect and provide all aspects of funeral care and arrangements. We have a wide range of headstones available and our experienced staff are always at hand to offer guidance if require. You can depend on us to help you through this difficult and stressful time so for more information in funeral services in Willingham then please get in touch with and call F W Cook Funeral Services now.